Hello everybody, my name is Marta and I’m the proud creator of the Malika Surf Camp. Why Malika? Because is where I met Aziz, my husband, in this small village called Malika. When I decided to create this surf camp I recieved the much needed help of some very good friends; somebody offered me a few wetsuits, somebody a board, somebody a leash or a rash vest. And so I started with 7 boards in 2010. Malika Surf Camp is a 100% local surfcamp, we don’t have any main sponsors but you can now count around 90 boards in our shop on the beach front. Personally, I believe that this is like a circle: if somebody gives me something, I have to give something to somebody else in return. The circle thus continues. If I receive a board, I’ll offer a board. That’s it, simple. 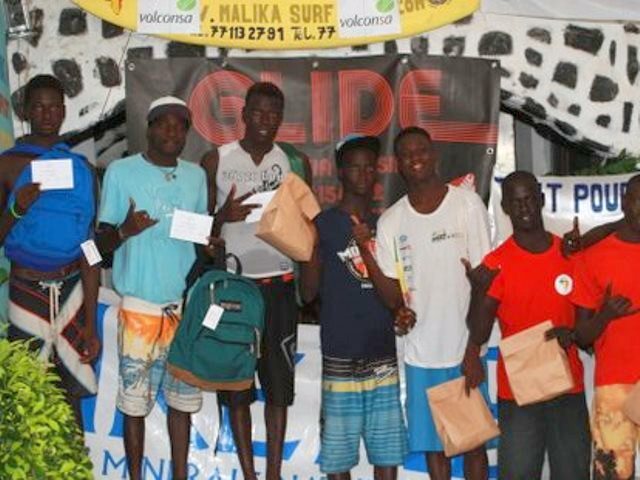 So Malika Surf Camp’s business supports locals young surfers to live out their dream and be able to surf with their own board and wetsuit. On the other hand, the money stays in the neighboard to create new local business. 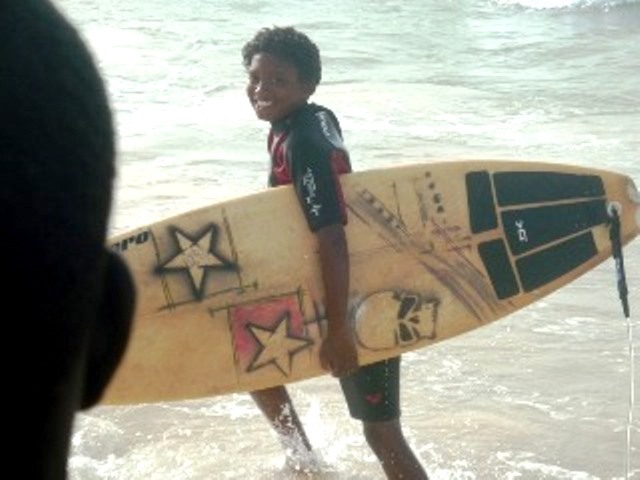 Thanks now to the partnership with the Black Girls Surf Association, Malika Surf Camp will be able to welcome also local African girls to surf and to provide them a school education. So, feel free to join this circle, because everyone can be concerned!